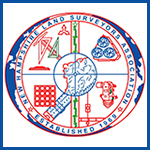 Stonewall Surveying is a land surveying and land planning company located in Barrington, New Hampshire. Ray Bisson, LLS PLS, principal, is licensed in Maine and New Hampshire and offers professional services for homeowners, realtors, real estate attorneys, architects, engineers and municipalities. Your property is valuable and many external factors can affect this asset. Stonewall Surveying can assist you in understanding what you own, and the potential your property has. Whether you want to construct a fence, add an addition to your home, adjust the property line with a neighbor or divide your property into separate parcels, we can help. There are many regulations that affect your property, and improvements are expensive so it is important to know where your property boundaries are. Don’t guess ~ Know! Our goal is to provide detailed and customized services to our clients. We offer support and guidance as needed to thoroughly understand the surveying process and offer homeowners the guidance necessary to utilize their property to the fullest extent. We also utilize the latest technology in robotic equipment. Contact us for a complimentary evaluation of your land surveying needs. Attn. Homeowners – visit our BLOG for tips, ideas and resources you can use! “I am taking a few minutes to express my appreciation for your work on surveying my New Hampshire property. I was especially pleased that you worked around the winter weather to get it done so I can move on to the next phase of construction. When I sent a preliminary plan onto my architect he commented that the survey was of high quality. Also, I very much appreciate you taking the time to help me document this project with some strategic photos. “I contacted Ray Bisson at Stonewall Surveying to assist me in my purchase of a piece of property. I needed a quick turnaround for the sale date and he was able to meet the time frame. The property had many restrictions for placing a new house on it. Ray was able to prepare a plan showing all the requirements the Town needed to grant me a building permit. It was very easy to communicate my needs to him.